Know Your Lore brings you the lore behind Blizzard games. This week, in honor of Diablo’s anniversary we look to the home of Diablo and the other Prime and Lesser Evils, as well as the birthplace of demonkind, the Burning Hells. We’ve spoken before of the genesis of the known realms of existence in the Diablo setting — the war between the diamond warrior Anu and the hideous seven-headed Tathemet, the demon dragon, which destroyed existence and recreated it. At the dawn of time, that primordial clash ripped the great pearl that was all that was apart, and from the cataclysmic clash of opposites was born the wound in reality we know as Pandemonium. From the last remains of Anu, the entity’s very spine formed the Crystal Arch, from which the angels of the High Heavens are born, and which the High Heavens themselves are formed around. And in the depths of existence, the nether around which Tathemet’s sundered essence pooled and collected, there came the Black Abyss. From this whirling nightmare, this bloated ruin of the first evil’s corpse crawled the demons. The Burning Hells could in a real sense be said to be the blackened corpse of Tathemet itself, and at the center of the Hells lies the Black Abyss, from which rose the Great Evils. Essentially birthed from the seven heads of Tathemet, there were the three Primes — Mephisto, Baal and Diablo — and the four Lessers. There is a debate over who the four Lesser Evils are — most would include Belial and Azmodan in their number, but some would include Andariel and Duriel as the other two, while others would replace either with Lilith. Ultimately, however, what matters is this — the Burning Hells are where existence goes to die. 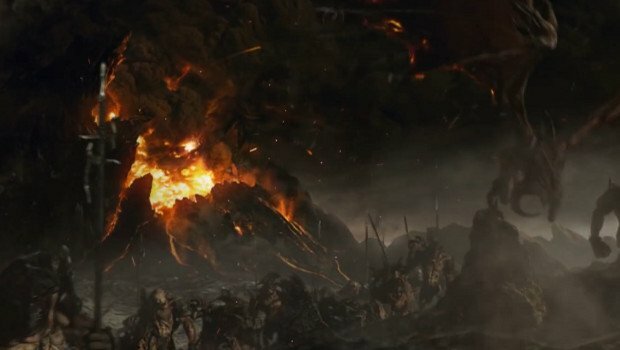 The infernal realm consists of seven realms, once for each of the evils, and then an unknown and unknowable wasteland of demons endlessly warring against one another, with behemoths and mallet lords waging endless war and refusing to come together save when summoned by a sufficiently powerful Prime Evil. Even Azmodan was incapable of bringing these fearsome beings under his sway. Perhaps it is fortunate for all creation that the demons of the Burning Hells cannot reliably work together. Because as soon as the demons of the Hells discovered Pandemonium and the wound at its heart, where the Worldstone lay, they and the angels began the Great Conflict. This war for control over the Eye of Anu (as the Worldstone is otherwise known) raged for years beyond counting, and the hosts of the Burning Hells waged it while also waging eternal war against each other. The Angiris Council took full advantage of the demonic inability to work together to keep pushing them out of the Pandemonium Fortress, and the war quickly ground into a stalemate. When Inarius and Lilith came to their decision to ‘retire’ from the Great Conflict and stole the Worldstone, the forces of the High Heavens and Burning Hells stood shocked, the war between them now merely a matter of routine. With the Eye of Anu gone, it seemed that the prize over which they’d fought was now lost forever. Both sides continued to fight more because it was what they had always done rather than out of a sense of urgency. This, however, changed when the demons discovered Sanctuary and the mortals therein. The human capacity to willingly choose to do evil was fascinating to the demons, and the idea of possibly swelling their ranks with mortal souls damned to the Burning Hells soon had them working to overtake Sanctuary. Mephisto, seeking to profit from his wayward daughter Lilith’s creation, sent his son Lucion to Sanctuary, where the demon created the cult of the Triune, worshipping the three Prime Evils as gods and battling Inarius and his Cathedral of Light. The Triune were essentially preaching inversions of the three Prime Evils, and in the end both Lucion and Inarius were defeated by Uldyssian ul-Diomed, and the Sin War ended. But this didn’t end the Prime Evil’s interest in Sanctuary and the humans that dwelt there. Indeed, it only strengthened it. For during the Sin War, Uldyssian had displayed power so profound that he actually willed Lucion out of existence, and had even stood against the Angiris Council — power so great could easily allow the Great Evils to overwhelm Heaven and win the Great Conflict once and for all. When the Sin War ended, angels and demons alike had promised to leave Sanctuary unmolested. In order to get around this promise, the three Prime Evils hatched a convoluted plan, and arranged for their four subordinates, the Lesser Evils to overthrow them from their realms in the Hells and banish them to Sanctuary. Alone among angels, Tyrael recognized both the inherent injustice of allowing the Prime Evils to range unchecked across the mortal world and the danger to all if they should achieve their goals, and he took steps. The creation of the Horadrim dates back to this period of exile, as Tyrael shared with the mortal wizards of this order the Soulstones, with which they could ensnare the three Prime Evils and trap them. Tyrael chose the Horadrim from the ancient wizard clans, seeking out men and women who had the power and skill to achieve the goal of confining the Prime Evils — thus were those like Zoltan Kulle allowed to be a part of the order. The Prime Evils were contained, for a time — Mephisto and Diablo inside the Soulstones, and Baal inside the mortal wizard Tal Rasha, for the Soulstone intended for his confinement was somehow destroyed during his capture. But the plan continued — each Prime Evil managed to slowly corrupt the means of his confinement. Mephisto reached out and began to twist the local Zakarum to his service, while Baal learned the secrets of the Horadrim by his slow consumption of Tal Rasha’s soul. And while time passed, the Lesser Evils were not idle, as the Burning Hells whirled ever more fervently into war between them. In time, Diablo managed to engineer not only his own release by tricking a mortal hero into placing the Soulstone within his own body, but ultimately that of his two brothers as well. The destruction of Tristram, the death of Khanduras’ King Leoric and ultimately both of his sons, the eventual march of Baal to Mount Arreat and the tainting of the Worldstone which forced Tyrael to destroy it rather than allow all of humanity to be tainted by Baal’s evil — all came through the tireless efforts of the Prime Evils. 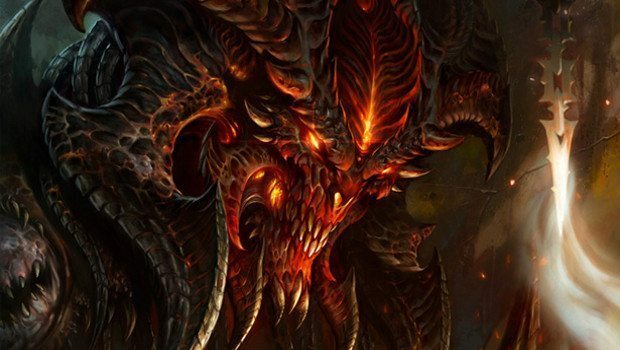 The events of Diablo 3 leave the Burning Hells in an uncertain state. All the Great Evils were ultimately collected into the Black Soulstone by Adria, who used it and her own daughter Leah (conceived by Diablo himself in the body of Aidan, the Dark Wanderer) to infuse all seven of the Great Evils in one being. Thus was Diablo recreated as the Prime Evil, possessing the power and essence of all seven, essentially a recreation of Tathemet. With the destruction of the Black Soulstone in the fight against Malthael, it’s possible that all seven evils may have returned to the Black Abyss to be reborn — or perhaps something far worse will be birthed into the Hells. Perhaps Tathemet itself will crawl forth from its own ruined corpse to stare covetously at the High Heavens across Pandemonium, and for once a unified Burning Hells will march forth to war. As yet, all we know is that Malthael’s actions have let loose all that is evil, and we have yet to face the consequences. The Burning Hells are far from vanquished.